Items 225- out of displayed. 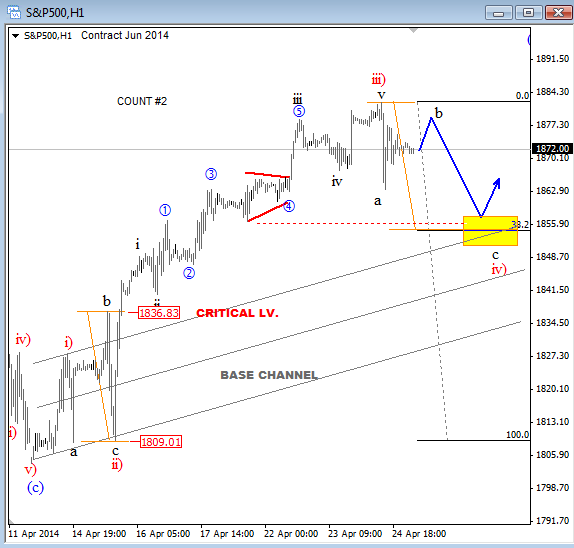 With members we are looking at two wave counts on the S&P. We see prices now in corrective short-term pullback after sharp intraday reversal yesterday from 1882. Based on both wave counts there is room for decline to 1855 level where we will turn bullish again and look for a potential long opportunity. Free Webinar invitation. This Friday at 12:00GMT. Morning traders! I hope that you had a great and relaxing weekend as markets can be very interesting in this week after strong sell-off on US stocks on Friday, after the US jobs report. We see markets in risk-off mode, but interesting despite strong move down on stocks USD did not move much to the upside. We have seen a strong upward reaction on US Notes and German Bund market while stocks were falling which was ideal for lower USDJPY and Yen crosses. Now the question that is probably going through your head right now is “if this risk-off will stay here or no?” Well I believe in technical picture of the market swings. 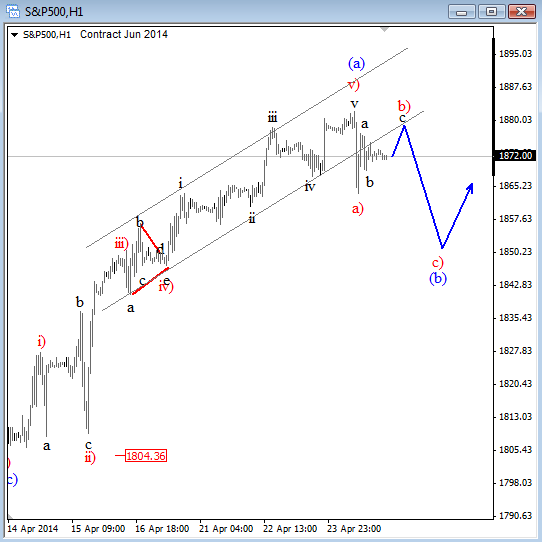 So if we take a look on the S&P then we can see five waves to the downside from 1892 down to Mar 30 gap. Decline is impulsive, thus it’s part of ongoing weakness, so we will be looking for more weakness after any short-term three wave rally. This three wave rally may occur soon if we respect gap levels that usual react as reversal zone. 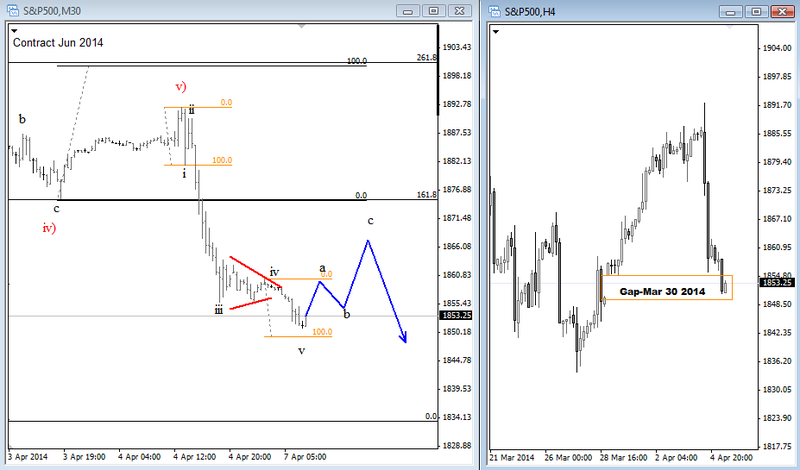 So if we respect the bearish picture of the S&P then we may also consider a bearish continuation on USDJPY and even take advantage of intermarket analysis. A decline there has also unfolded in impulsive fashion, so we may consider shorts with our members in the next 24-48 trading hours. 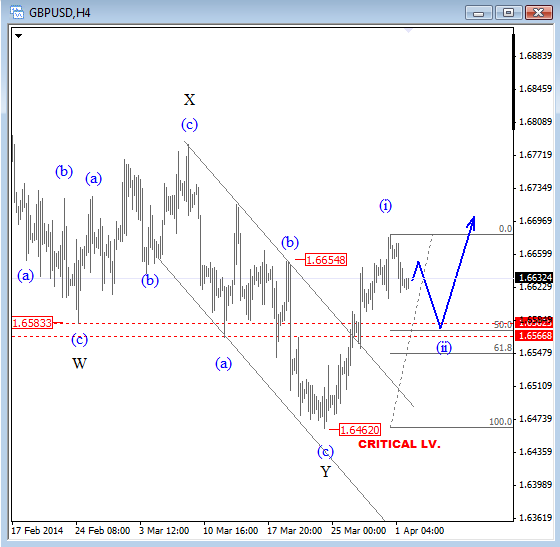 GBPUSD found the support last week and recovered nicely above the upper trend line of a downward channel. A reversal from the low can be counted in five waves on the intraday charts, so we suspect that trend has changed and that pound will continue to the upside, especially after a corrective retracement back to 1.6550/70 that could unfold in the next few sessions. Today I will take a look on USDJPY which is consolidating for few weeks now. It looks like pair is waiting on continuation lower on Nikkei futures where we see a bearish pattern. A break to the downside will mostly send USDJPY lower as well. Check out our video for more details. 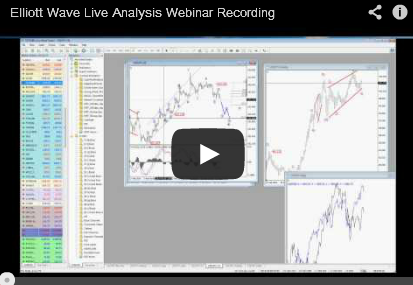 Join me on our free Elliott Wave Live analysis on Monday Mar 31 2014 at 12:00GMT. I will cover some major markets and highlight interesting patterns. 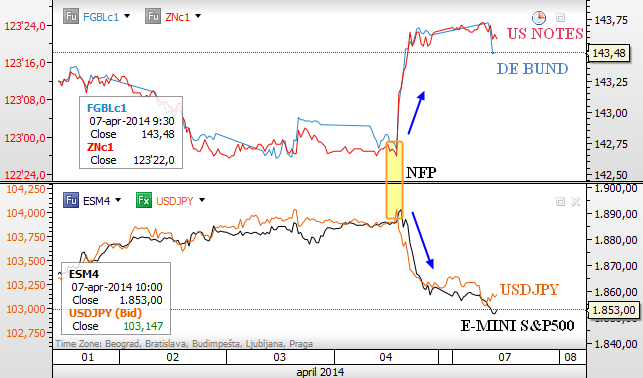 Our webinar recording; covered Copper, DAX, AUDUSD, USDJPY, GBPUSD, S&P.